Genome is somewhat out of date by now, published back in 1999. 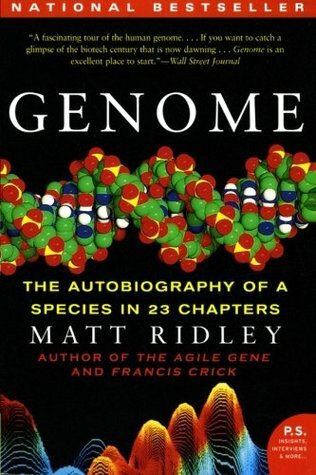 Bearing that in mind, it was a pretty good read; sometimes, the themes Ridley chose for a particular chapter weren’t all that closely tied to the chromosome he chose, and issues like that, but that’s the problem with our chromosomes. The information isn’t distributed neatly across our chromosomes: in fact, those of us with a Y chromosome have one that does almost nothing overall, despite the fact that it affects carriers’ phenotypes so markedly. 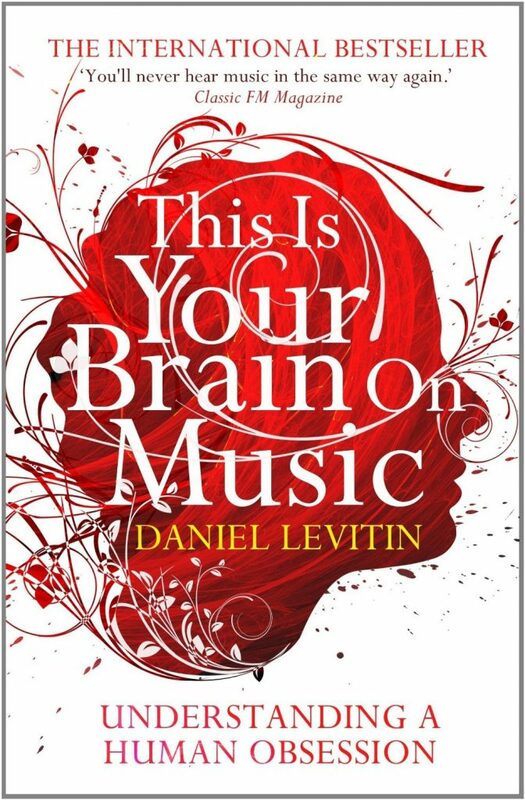 I feel like the best people to appreciate this have a bit more music theory and a bit less neuroscience in their background, but nonetheless, I found it an intriguing read. Having read David Waltham’s Lucky Planet, there isn’t much in this older book which is new to me, even though he recommended it for further reading. It’s less up to date, of course, but that’s because it’s older — and at least it does acknowledge stuff like the Viking lander biological experiments, which Waltham did not. 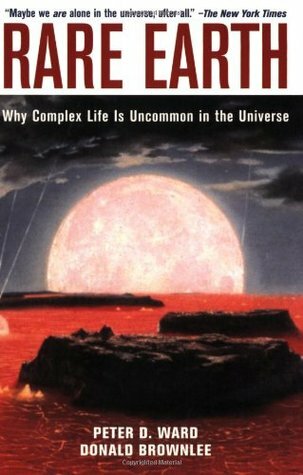 If you’re interested in the evidence that’s out there for the fact that our planet might be rare indeed in producing complex life, I’d recommend Rare Earth over Lucky Planet. The science is solid and thorough, and well explained. My problem with all books like this is always going to be: we have a sample size of one. How can we extrapolate anything? Sure, we know that intelligent life like ourselves can’t exist in a solar system that doesn’t have the right kind of habitable zone. And yeah, we think carbon is the best possible atom to base biochemistry on. But we only think or know these things because that’s what we need, that’s what we can use, under the conditions in which we find ourselves observing. (In other words, it’s the weak anthropic principle.) None of the data presented convinces me that we can do more than guessing in the dark on this subject. That’s not a reason not to be curious, of course, but it’s also not a reason to give up looking. Obviously, we won’t find anything if we don’t look. It doesn’t make Rare Earth less worth reading, but it does mean that I think readers should stay aware that Ward and Brownlee have made up their minds, and are presenting only the evidence supporting their case. I honestly don’t find either side convincing, though you, of course, may differ. 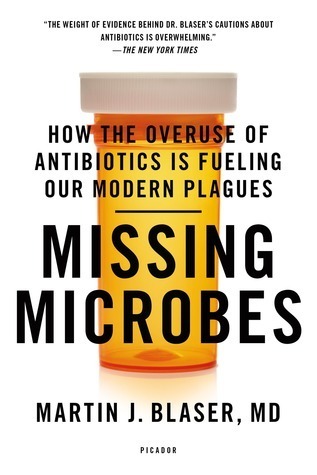 Seeing the subtitle of this book, you might think it’s about the overuse of antibiotics which causes diseases immune to every method we have to treat them, especially the practice of giving antibiotics “just in case” and feeding antibiotics to animals (which actually helps them grow faster). In fact, while he does bring those issues up, Blaser is also concerned about an unforeseen effect of antibiotics: they’re killing “good” bacteria, with which we’ve co-evolved and which provide us with advantages (even if they aren’t always unmitigated advantages). This is the sort of thing that’s really fascinating to me, even if I’m not sure I’m 100% comfortable with some of the things he refers to as “modern plagues” — especially not autism, because hey, I don’t think my friends with autism are “ill”. I think they just think differently, and society has the problem. In any case, Blaser does have some interesting research backing up his ideas, and the first half of the book does a very good job of explaining how we form our own personal microbiomes — and the catastrophic effects (viewed in the long term, as an average, not necessarily for a single person) of our modern health system, which actually destroys, undermines, or even prevents the formation of our microbiomes. Caesarian sections, for example. I think Blaser’s theories might feel a little overstretched at times, but I don’t mind going along with the basic principle: we have these bacteria in our bodies for a reason, we tolerate them for a reason. We don’t really know the effects of what we’re losing, and the invisible advantages and protections it might offer. This much is definitely true, and also the fact that we’re overusing antibiotics as a kind of “better safe than sorry” — except it is going to make us very sorry, via antibiotic resistance alone. I found this an enjoyable and pretty well-supported read, with the caveat of course that I’m only on the first year of my BSc and most of my knowledge comes from pop science and online courses. Richard Dawkins is, from my point of view, a fairly unpleasant man even when I agree with him. He sets out to make this book an explanation of how evolution works (but for that, I would go with Coyne’s Why Evolution is True), and why it is the correct explanation for various phenomena we can observe around us. It’s not as bad as The God Delusion for anti-theist statements, though there are a few speckled in there, and he makes a fairly good line of argument. Of course, since I think evolution is an obvious conclusion, so I’m not exactly the audience he was hoping to convince — and it’s likely I didn’t notice instances of his usual arrogant attitude that would bother someone who doesn’t already believe in the same things. I think you’re probably safer with Coyne’s book. There are creatures who are better adapted to their environment than others of the same species. Because they are better adapted, they will be more successful in survival and, consequently, breeding. These traits, when heritable, can be passed on the creature’s offspring — and they can have many offspring. These offspring will be better adapted, and will meet others who are also well adapted to breed with. Good adaptations accumulate over the course of generations. The environment is not stable and changes over time. Adaptation is necessary to allow a species to survive in the same area, and species do survive in the same area. Over a long period of time, enough changes will accumulate that individuals of that species would not be able to breed with the original species, or with a branch of the species that adapted differently. Evolution via natural selection has necessarily occurred. Plus extra evidence like shared DNA, the fact that we can artificially (and in a very short space of time) cause a species to evolve by selecting traits we want (e.g. high milk yield in cows), and the fossil record which contains plenty of examples of transitional fossils… You don’t need Dawkins; go back to Darwin. Even without the evidence we have now, he saw the necessary chain of events, and he was much more sympathetic to other views, and meticulous about his evidence. 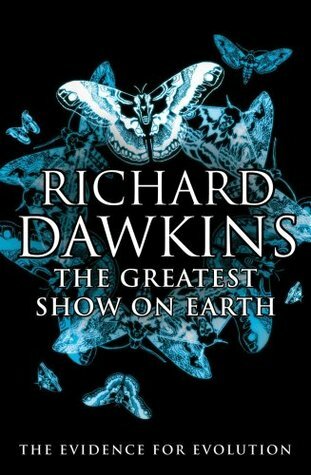 Nonetheless, Dawkins’ book is clear and pretty well-written; I just don’t like his attitude, and I don’t think he will reach the desired audience.